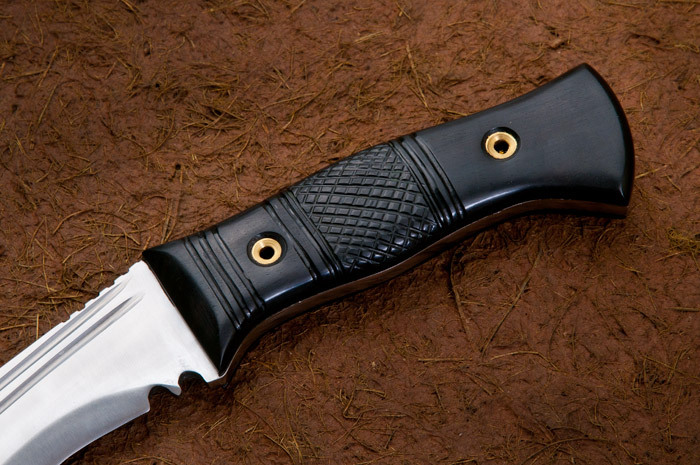 Weight – 1.7 LBS without the sheath. 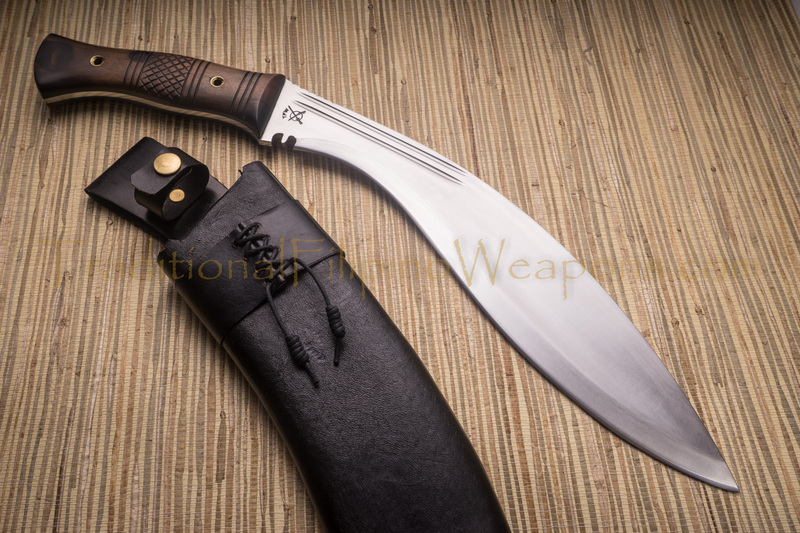 Kukri – For TFW our interpretation of the famous Nepalese Kukri knife represents a departure from our indigenous Philippine, only, blades. 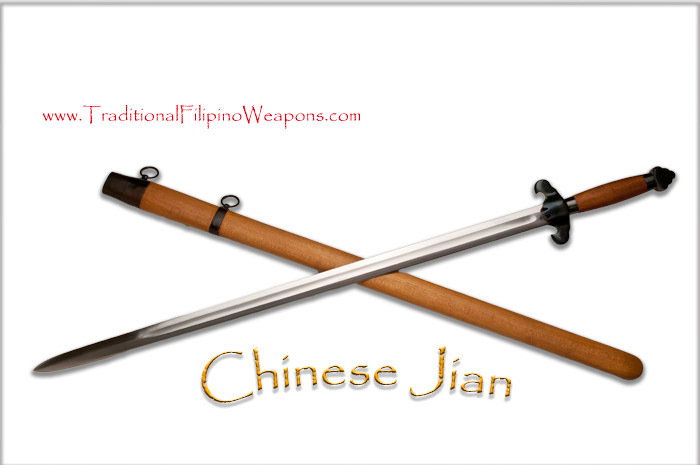 Also, there will be more blades coming from different cultural backgrounds in the future. 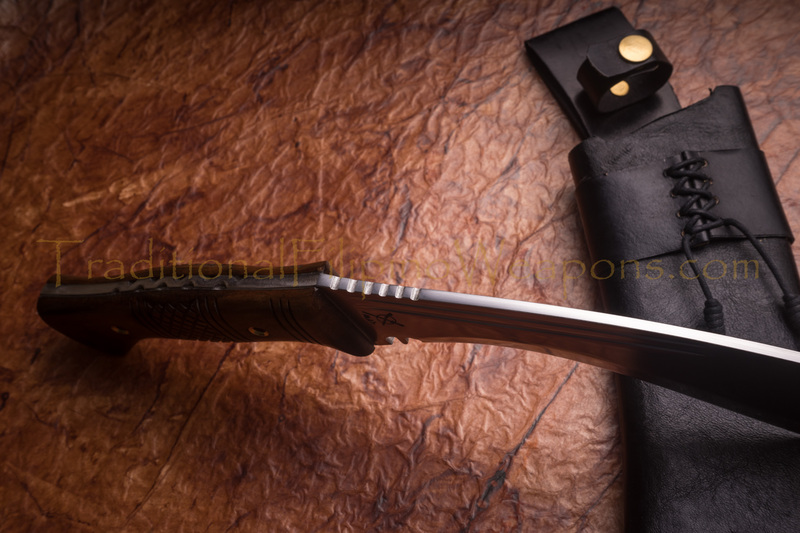 These will all be hand forged blades of great character and integrity that you can have confidence will do the job they were born to do, no matter what the circumstances or use. 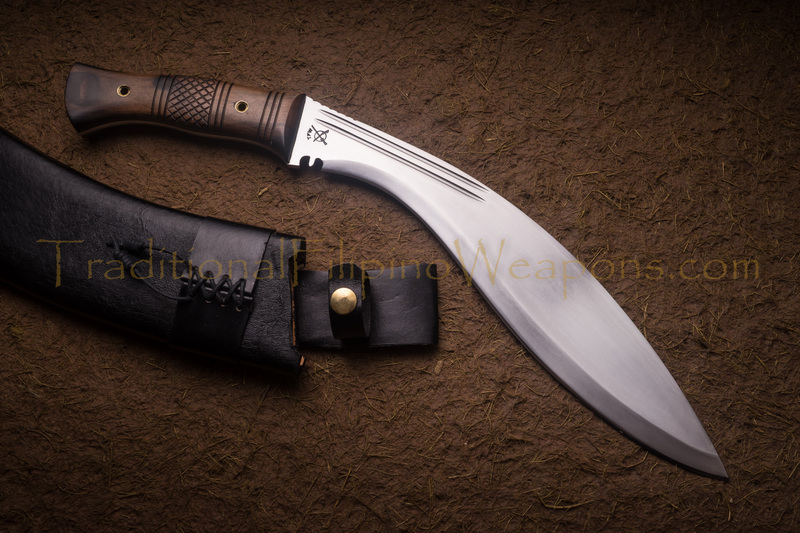 The Kukri (AKA, Kuhkuri or Khukuri) is a is a medium sized curved blade made famous by the formidable Gurkha warriors who have exhibited a national pride, heroism and honor without peer, as demonstrated by their historic battlefield bravery. 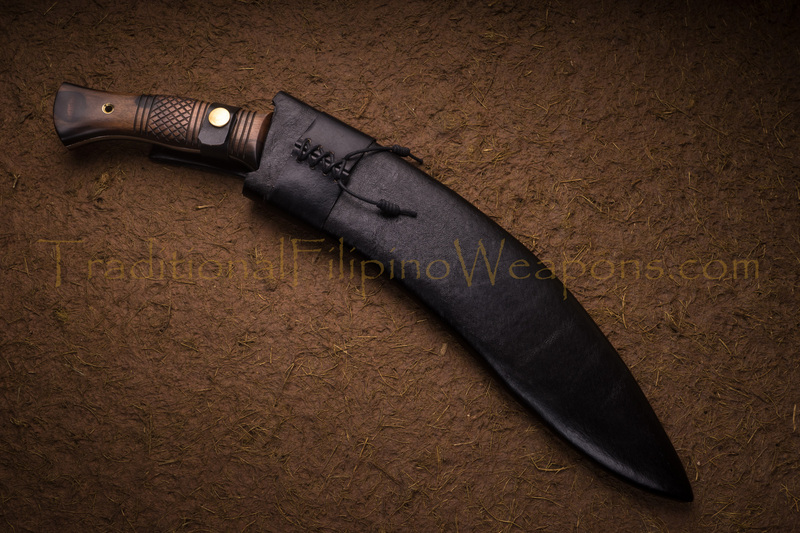 The design goes back 2500 years to the “Kopi”carried by the Greeks in the 4th century, BC and later the “Kopis,” as carried by the troops of Alexander the Great. 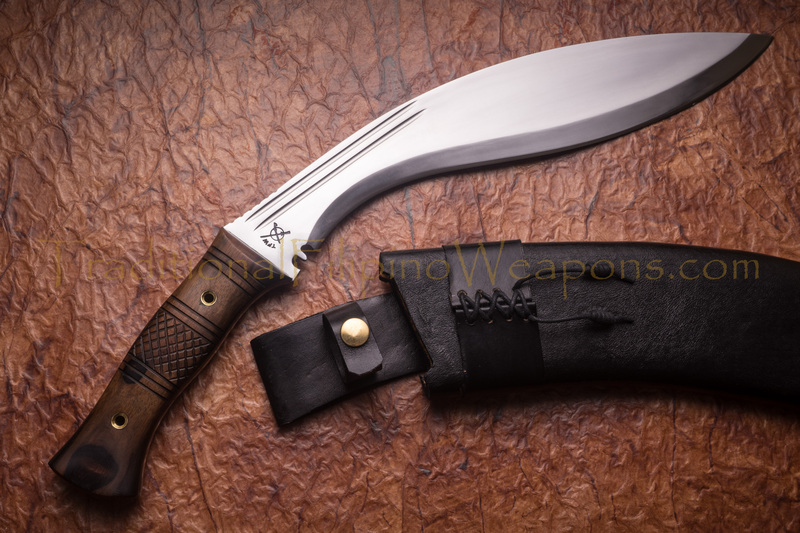 The more modern version of the Khukuri rose to great prominence after the Nepal War of 1814-15 when the British Gurkha Army was formed. 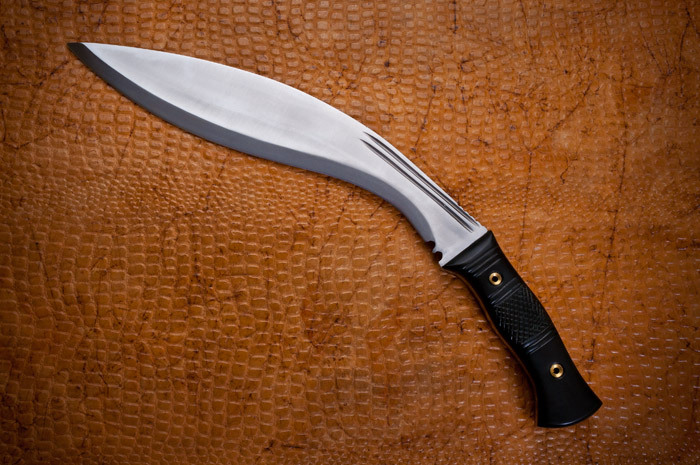 Traditionally carried in a wooden sheath covered in leather, and usually having a carved walnut grip as well as traditionally accompanied by two small utility knives, the Kukri is one of the most famous and feared blades in all the world. 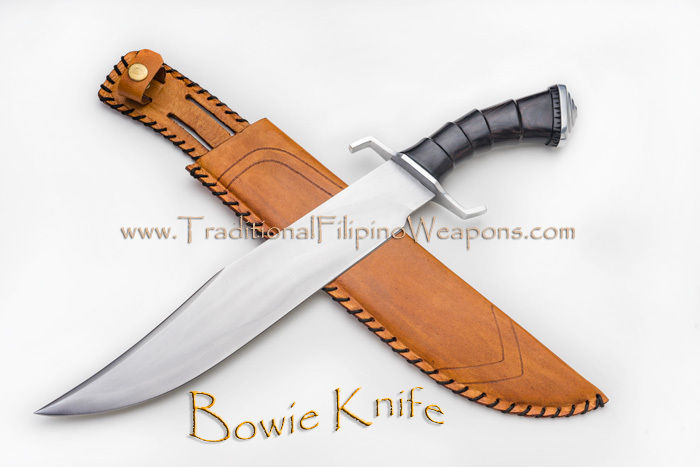 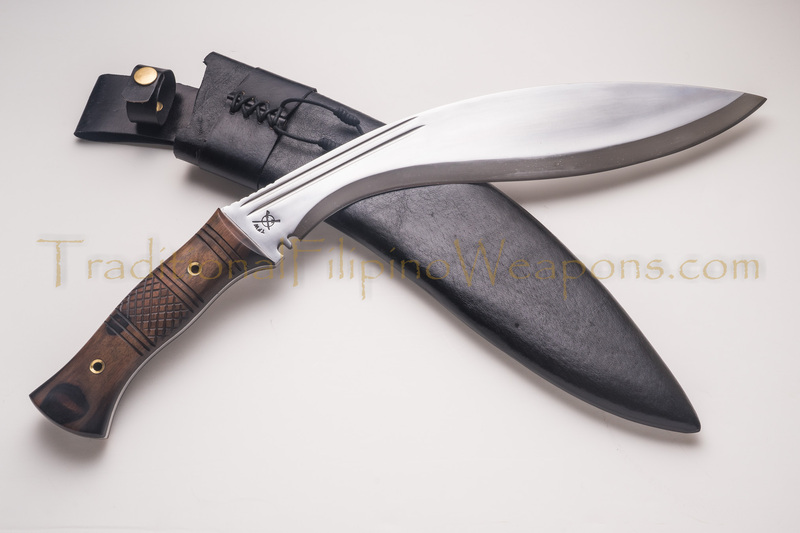 Our rendition is a massive, heavy, yet well balanced weapon, over 18 inches overall with a full tang forged high carbon steel construction, crafted by our Master Bladesmith in the Philippines. 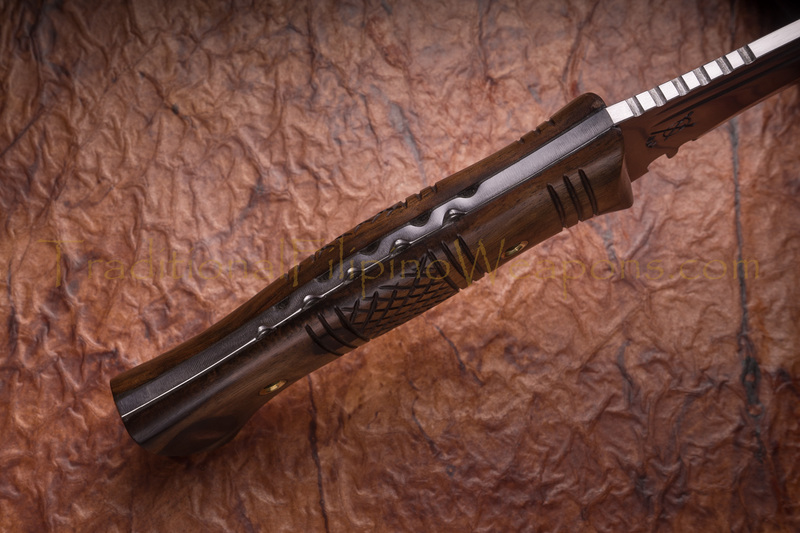 The edge is taper ground razor sharp, but extremely durable, and set off by Kamagong ebony handle slabs attached with brass hollowed rivets. 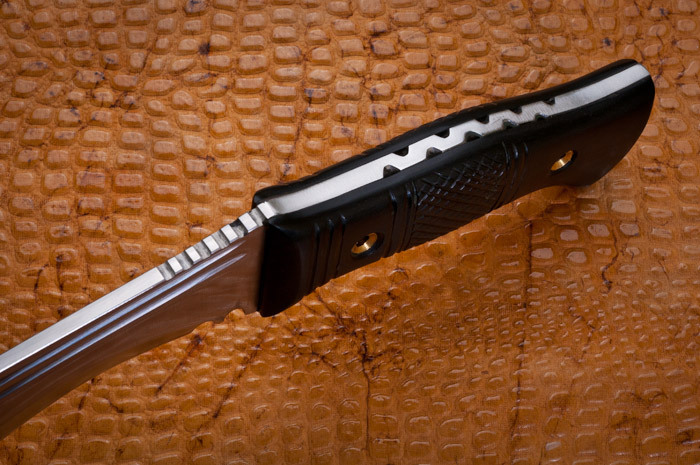 A jimped design on the spine of the quarter inch thick blade offers a refinement which belies its purpose.